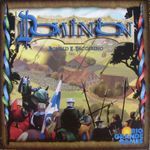 The purpose of this geeklist is to determine what expansions add to their base game, ideally making a reference tool to help people decide on expansion purchases. Definitions for POLL #2: What does this expansion add to the base game? Rules Adjustment: Fixes problems in the base game. For Example: Pandemic's role cards which are reworded in the expansions. 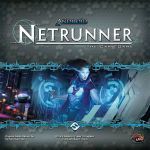 Player Extension: Adds components and/or rules to include a different number of players than the base game allows (includes 2-player and solitaire variants). 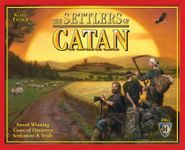 For Example: Catan's 5-6 player extensions. More-of-the-Same: Same as the base game, but a greater volume of the basic gameplay. Could be a longer game, or a larger game surface, etc. For Example: Lord of the Ring's new scenario boards, which lengthen the path the hobbits must travel to complete their quest. 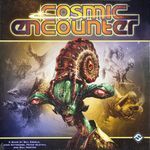 Expanded Theme(s): Adds or changes the theme of the game, expanding the fictional universe for gameplay. Upgraded Components: Official game "pimps" which replace original components with new-and-improved versions. Does not change the gameplay. For Example: Flashpoint Extreme Danger's role-specific minis with interchangeable coloured bases, to replace the original game's colourful but generic minis. Frivolity: A not-so-serious expansion, something that makes the game slightly ridiculous but in a joking manner. A side effect is often adding luck/randomness into the gameplay. Intensification: Takes the game "up a notch." Somehow makes the game more difficult or complex, but in a way that respects the mechanism(s) of the base game. For Example: Race for the Galaxy Brink of War's prestige, which is an additional currency to keep track of during the game, but it stays true to the original gameplay. New Mechanics: Introduces a new mechanism into the gameplay. This is a significant departure from the mechanism(s) of the base game. Evolutionary Twist: Takes an element from the base game and changes it somehow to evolve the gameplay. This is a more subtle departure from the mechanism(s) of the base game. For Example: Bang! Dodge City's new type of card (green = available until used) which is a bit of a cross between the previous types of cards (yellow = immediate, and blue = permanent). Variant Play: Variant play makes slight changes to the rules of the game, to change up the feel. Variants are what allow you to tailor a game to best suit the audience playing with it. For Example: Pandemic's Virulent Strain or Mutation challenges. Alternative Set-ups: Provides alternative components to select from while setting up a game. This adds variety by replacing other components, and gives more of a scenario feel. For Example: Formula D/De's boards where you select a race track for your game. Additional Variety: Provides alternative components to add to the collection of components used during the game. This adds variety by expanding the number of choices which may come up during the game. For Example: Small Worlds races & powers where different combinations are available during the game. - List is now sorted in alphabetical order. 1. What type of expansion purchase is this? 2. How can this expansion be combined with other parts of the game system? 1. How necessary is each expansion? 2. 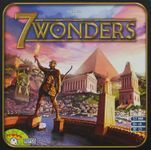 When playing this game, how often do you include each expansion (or parts thereof)? 3. How much expertise in this game do you need to enjoy each expansion?